Ahoj and welcome to our blog! A couple of words about us. We are couple who met back in 2016 while working together on the same software development project in Brno, Czech Republic. One of us, being based in Berlin and the other one in Prague, we grew our relationship by visiting each other in the respective cities or travelled elsewhere to explore new places. We have danced, travelled, cooked, laughed and helped each other a lot with own projects ever since. Besides being a happy couple, we have also became very close friends. Shortly after we were finally reunited in one location (don’t miss the endless bus rides! ), we decided that life was too short and the world too interesting to stay in one place and continue our habitual lives. 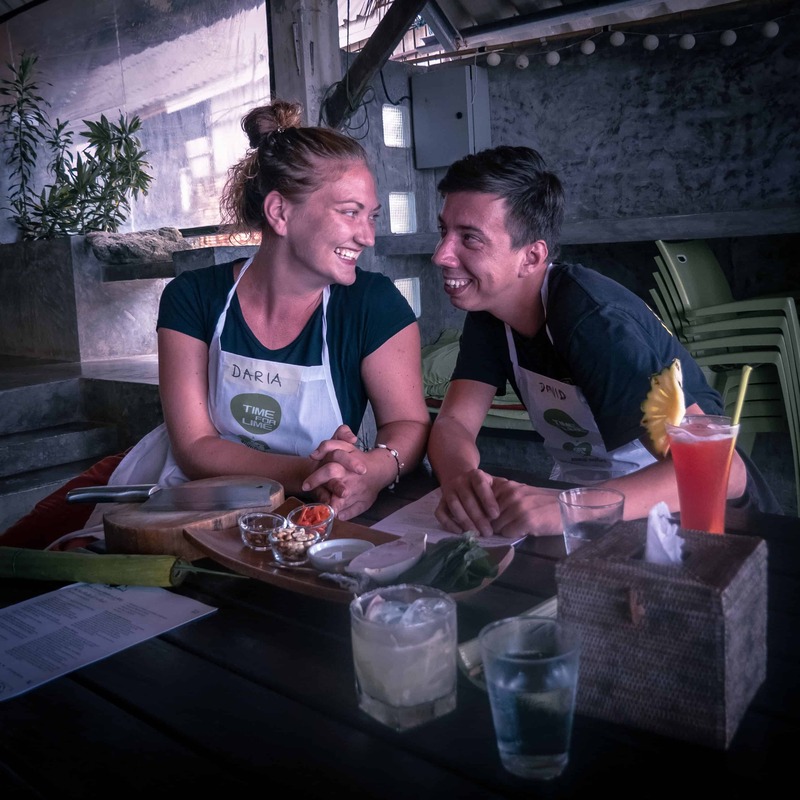 Darja quit her job and David reduced his working hours to part-time. We bought a one-way ticket to Jakarta and started getting ready for our six-month trip through Southeast Asia. The transition was scary in the beginning (we had both been working intensively until that point), but the feeling changed to excitement and utter happiness surprisingly fast. Originally, we had started the blog probably like many others – for our family and friends to follow our travels and to keep a diary for future memories. However, as the journey continued and as we started challenging our previous lifestyle the focus began to shift. Between the two of us, as well as with anybody else who cared to listen, we have been talking a lot about the beauty and the power of travel. We both sincerely believe that everyone should travel. If everyone packed up their backpack and left home for at least a little bit to explore a foreign culture, we would be living in a much happier and more connected world. We love sharing our experiences and hope that you like reading about them. As we continune, we’d love this to become a source of income which would at least to a degree support our future travels. As we continue working on transitioning our blog, we will be posting articles about things to think about during planning, the budget and summarised travel itineraries besides our existing travel diary. Hope you enjoy it! Now that you know who we are and how we tick, we would love to get to know you as well. Don’t hesitate to leave us a comment on any of the blog posts or send us a message! Speak soon, David and Darja.